On the 24th of January our 2nd year team travelled to Kilkenny for the All Ireland finals. We are very proud of the performances of all our players. Our first match against Colaiste an Eachreidh Athenry was a great warm up, our team work held us together with epic showmanship from Kevin Cleary and excellent serves from Sophia Higgins, we then progressed to play Mountrath Community School, having met Mountrath recently in the Semi Finals, we were well up for their challenge. Chloe Kelly and Keelan Meredith stepped up for the team. The match was so close with St. Paul’s confidently drawing the first set. We then played St. Bridget’s Loughrea we had noticed this team from previous outings . St. Bridget’s are renowned for their strength and skilled spiking, this did not fear PJ Evangelio where he remained unfazed at the net. We then had to wait to see our final opponents as our matches were so close, it worked on points difference , after ten long awaited minutes we had to play St Bridget’s again, we refocused and gave everything we had against them. Emilia Mucha was solid the whole way through with her calm persona. The game was neck and neck but St Bridget’s experience won the game in the end. We are extremely proud of each and every one of the team. 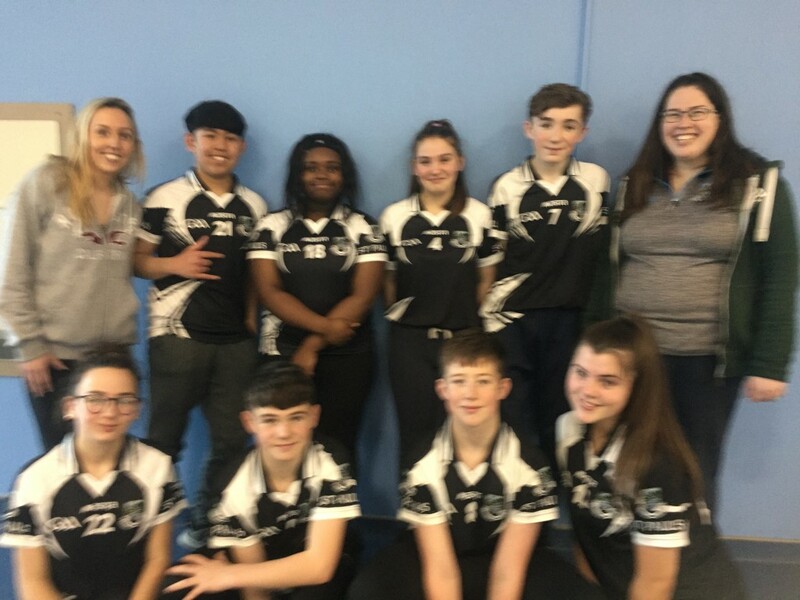 The team would like to thank Chloe McQuillan, Dylan Keane and Amy Lacey for refereeing the finals and mentoring this year. Thanks also to Cora and Sr Angela and Brian Kaye for coming to support us in our final game.